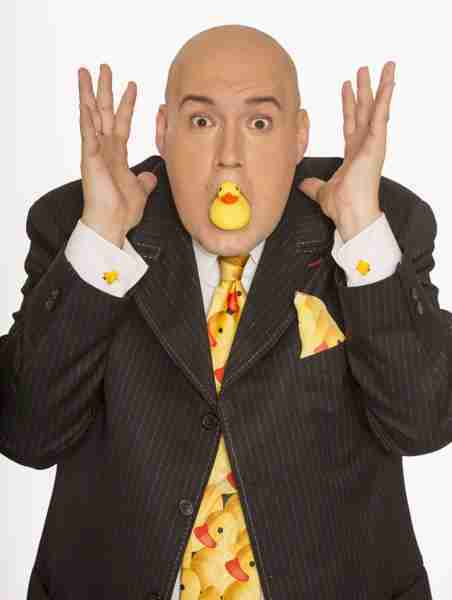 LaughterNoon Starring Adam London showcases the veteran comic performer’s obsession with rubber ducks in an all ages afternoon show at The D in Downtown Las Vegas. 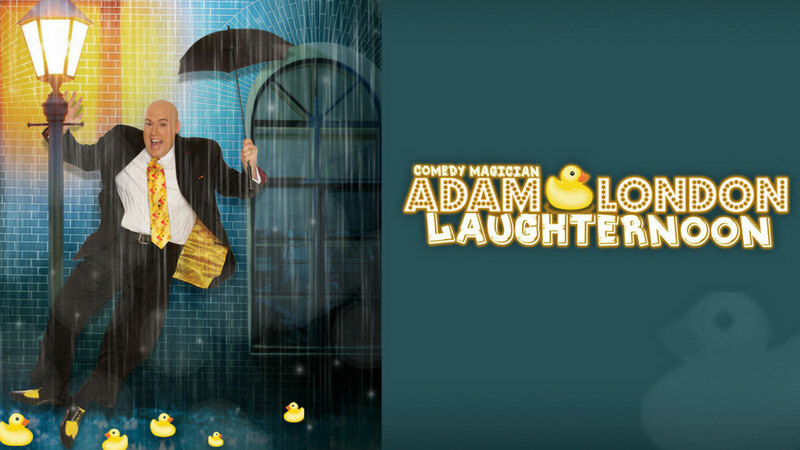 Veteran comic magician Adam London has been performing to delighted audiences at clubs in Las Vegas and all over the country for over 12 years, and now the hard working funnyman/ illusionist has his own show in The D Showroom in Downtown. LaughterNoon showcases London’s well-oiled showbiz chops in an afternoon comedy and magic show filled with gut-busting gags and mind-blowing illusions that’s the perfect entertainment option for the entire family. 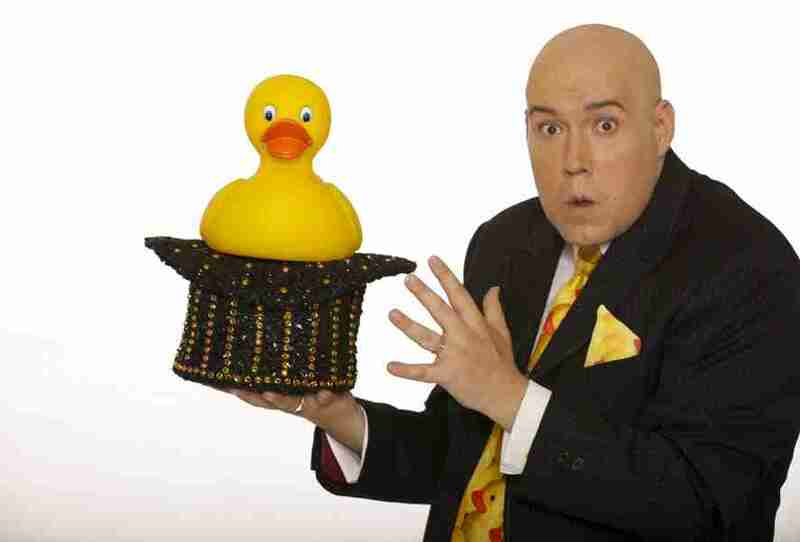 The charismatic and energetic London has a fascination with rubber ducks, and the whimsical childhood objects have become his signature which he uses as props in many of his illusions and comedic bits. 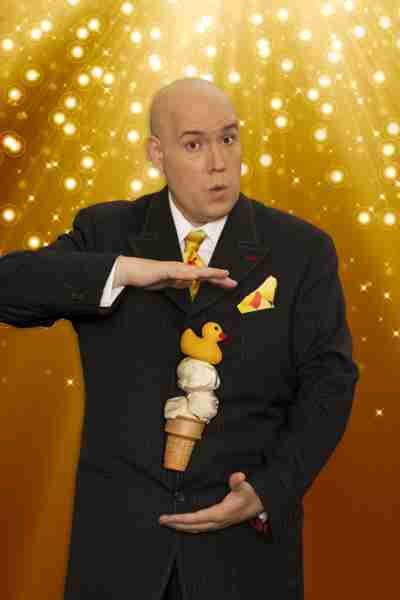 His illusions, which mix large scale on stage tricks with close up magic, are as mind-blowing as his comedy, which mixes verbal wit with broad visual gags. The results are laugh out loud hilarious. London also likes to get the audience involved in the show, as he asks audience members to join him onstage for various bits during each interactive performance. Over the years, London has appeared onstage at Las Vegas The Improv at Harrah’s and The LA Comedy Club, all over the country at various clubs and corporate events, and at LA’s legendary Magic Castle. He also appeared in local Vegas legend Mac King’s Afternoon Comedy Magic Show for six years, and after so much time and hard work and honing his chops, he’s earned his own headlining show in Las Vegas with Laughternoon at The D in Downtown. 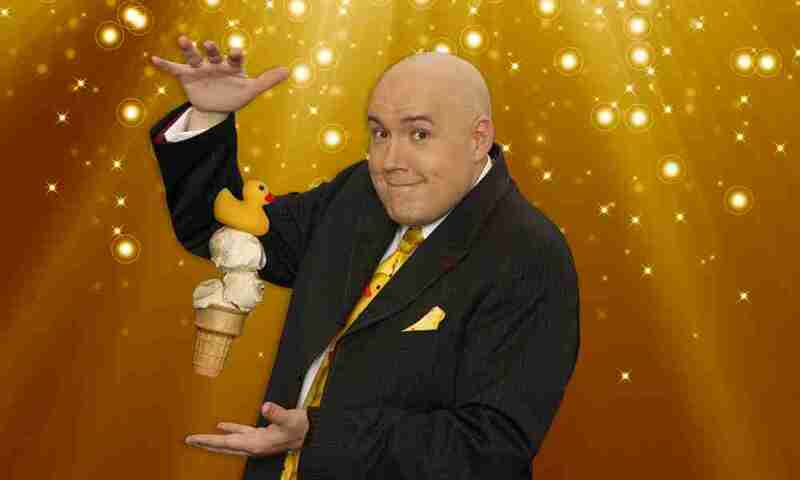 The energetic afternoon show highlights London’s comedic and magic skills in equal measure, showcases his uniquely witty persona and charisma, and features his signature obsession with rubber ducks in a value packed entertainment that will delight every member of your family, young and old alike.